Home > One Item, One Day, One Low Price! One Item, One Day, One Low Price! Check this section daily. We feature ONE new item every day at a deeply discounted price. No, we don't raise the price and slap a sale sticker on it. This is the place to get a down-and-dirty LOW price on some good stuff! 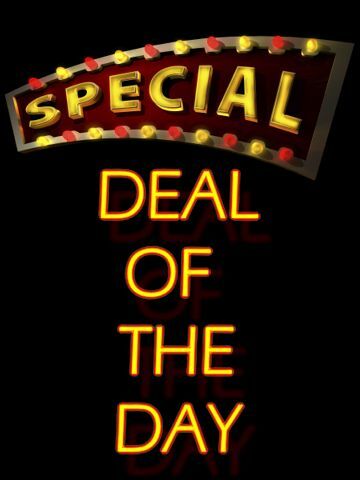 Deal of the Day pricing applies to current item, current day only.